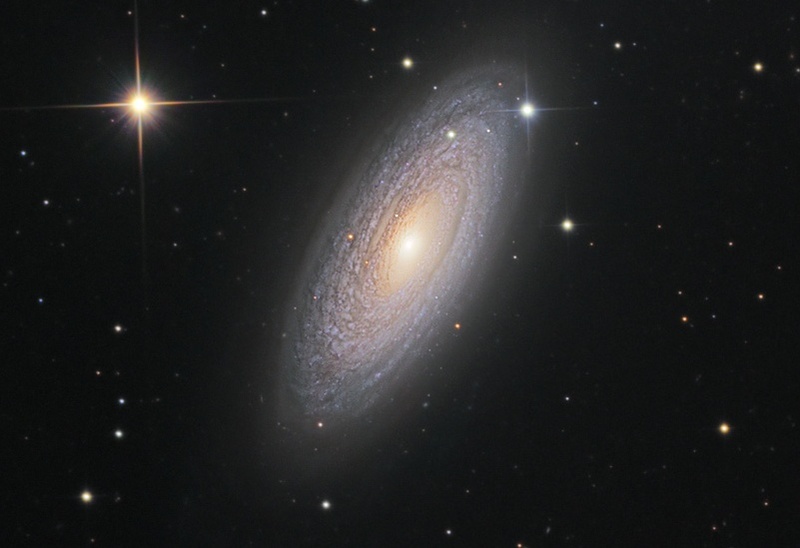 Explanation: Some 50 million light-years distant, spiral galaxy NGC 2841 can be found in the northern constellation of Ursa Major. 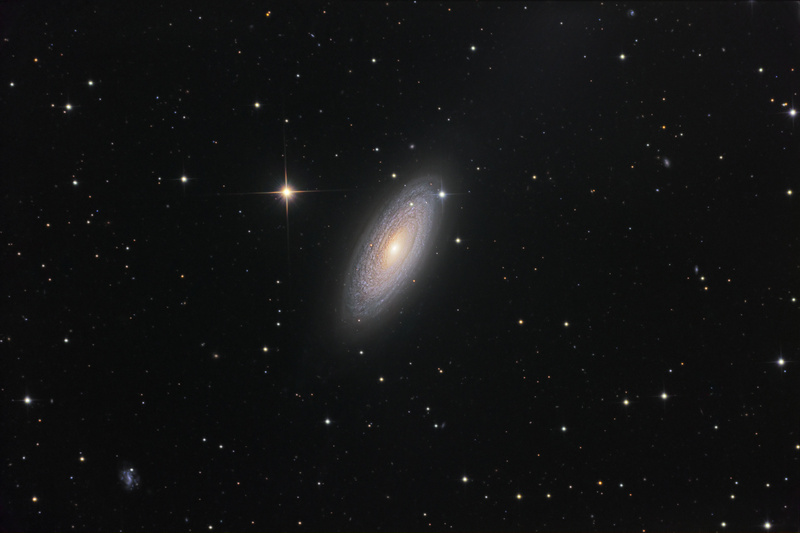 This sharp view of the gorgeous island universe shows off a striking yellow nucleus and galactic disk with tightly wound spiral arms. NGC 2841 has a diameter of over 150,000 light-years, even larger than our own Milky Way Galaxy. The galaxy's dust lanes and turbulent star-forming regions are found along the spiral arms, but X-ray images suggest that resulting winds and stellar explosions create plumes of hot gas extending into a halo around NGC 2841. Of course, the prominent stars with a spiky appearance in the picture are close foreground objects within the Milky Way and not associated with NGC 2841.